Members of The Highest Order were preparing to face The Great Sorcha in battle. The wind was whipping around the top of the cliff edge. Lightning lit up the sky, and the thunder roared fiercely. An intense green light-beam shot down from the dark clouds above them, blinding their vision, and the sorcerer vanished. In the confusion that followed two people were not to return. A panic ensued, Witches, Wizards and Warlocks warped to The Orphanage before quickly heading off in different directions to help those on the islands. Unaware yet that some were missing. The Time Warp ship of the sky returned to the Andromeda Galaxy. To a parallel universe. The blue skies returned in an instant. Chaos shortly followed. Inside the Third Dimension, it was like all alarm bells had gone off. Indigo was spinning around and was not sure which way to go first. There must be intruders everywhere. They must be planning an escape the fools. What was going on? Shooting off at great speed Indigo went to every Pyramid inside the jungle. No humans were detected. The area where the rocky mountains were, was where it headed to next. Again nothing. Indigo shot off over the long grassy plains. Although each pyramid was highly charged, there was nothing. Just one area left. Indigo spun off towards the area of the holes. Coming to the first holes, he was aware of them. Lowering himself, he came to a stop at the side of the hole where Scarlett, Mason and the crew were waiting. Trisha J Kelly was born in London in 1959. She has worked various places. No longer confined to 9-5 she is living her dream by writing, receiving great feedback and wishing she started sooner! After always wanting to write books for children she is now doing just that. Life should be an adventure and the new series of Scarlett and Mason fantasy novels are designed to take you on a roller-coaster journey full of magical escapism and enjoyment. It’s all there. Trisha lived in Colchester Essex for over 50 years and has now relocated to Suffolk. Married with two adult sons and sharing life with two naughty ten-year-old Lhasa Apso dogs. Growing up with just one younger brother who was always up to mischief was all the inspiration needed to turn the book dream into a reality. Plus a big imagination. The first in the series Discovering Witchetty Waters will transport you straight to another place where you will want to stay forever. 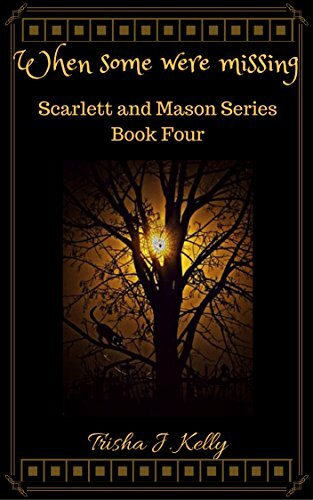 This is the 4th book in the Scarlett and Mason Series. 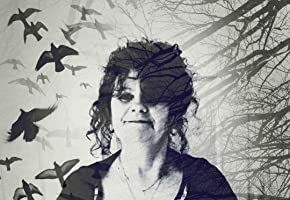 It is intended to be read in order, the first book is Discovering Witchetty Waters, the second is In the wrong lifetime, the third is The Rise of Sorcha, and then this book. There will be one more book to come in the Autumn which will be The Great Storm of 1397.